When most people hear the word “Thanksgiving”, they probably think about pumpkin, stuffing, pecan pie, and, of course, turkey. When I hear “Thanksgiving”, I immediately think of duck! Sure, my Auntie Ellen’s stuffing was epic, my Dad’s cranberry sauce was tart, and there was always a succulent roast turkey on the table, but when I picture the festive Thanksgiving table of my childhood, I see my Grandmother’s mouth-watering sweet and sour duck. With its crispy skin, tender flesh and sweet orange flavor, that duck was our centerpiece on Thanksgiving and I’ve tried to continue the tradition at my own families table. I started by making the preserves, which needed the most time to cook. 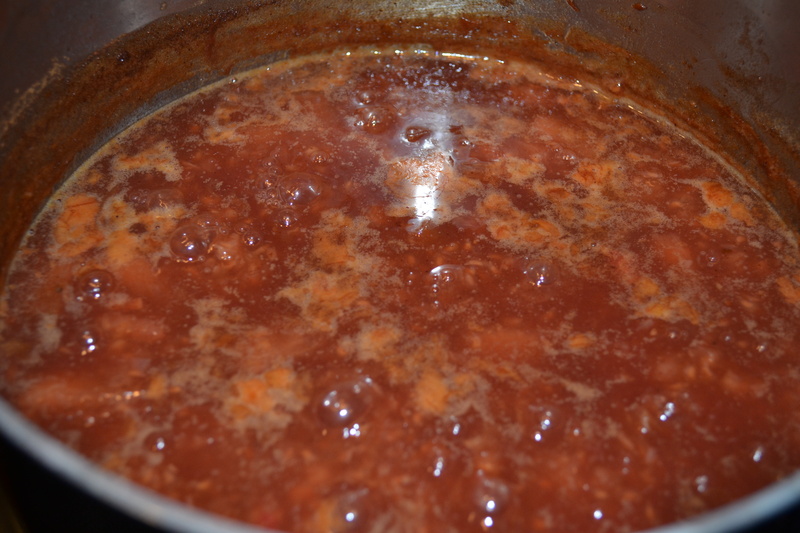 I added all of the ingredients to a pot and simmered over medium heat for 45 minutes, until most of the liquid was absorbed and the sauce was thick. 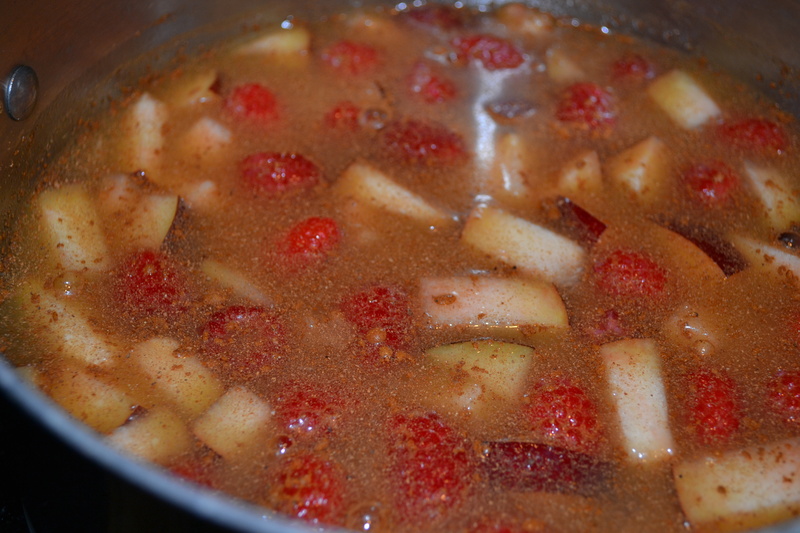 I stirred the mixture occasionally so the fruit wouldn’t burn. Let me just say that my house smelled incredible, like plums and cinnamon! I set the preserve aside to cool and began work on the gorgeous duck. 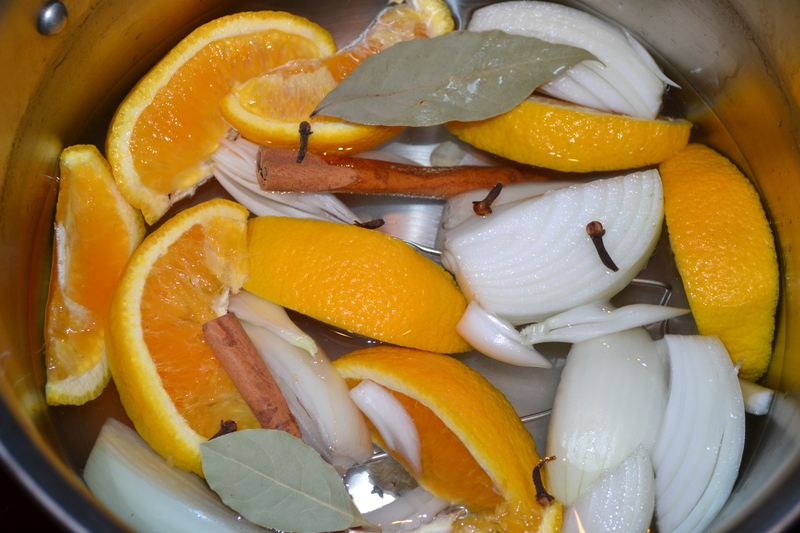 I filled the bottom of my pressure cooker with around 4-5 cups of water and added the orange, onion, cinnamon, cloves and bay leaves. 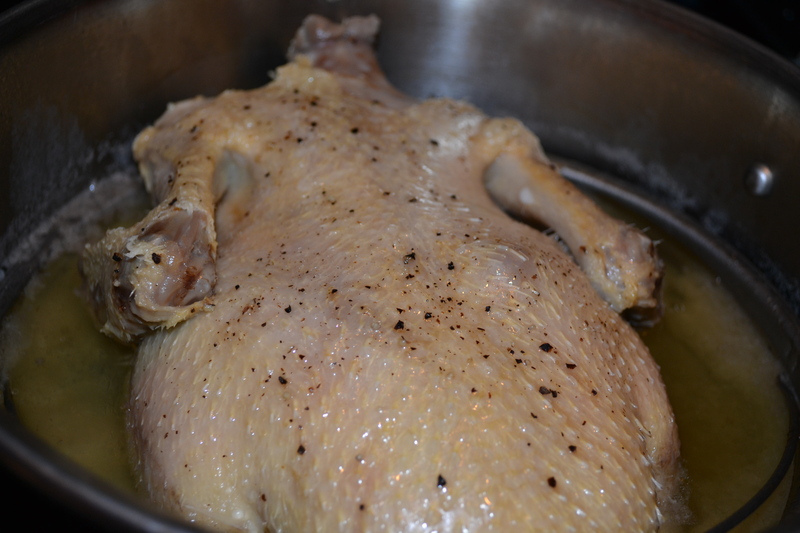 I placed the raw duck in the steamer basket attachment and placed it on top of the above ingredients. I closed the pressure cooker, placed it over medium heat and once the pressure indicator was hissing, I cooked the duck for 25 minutes. 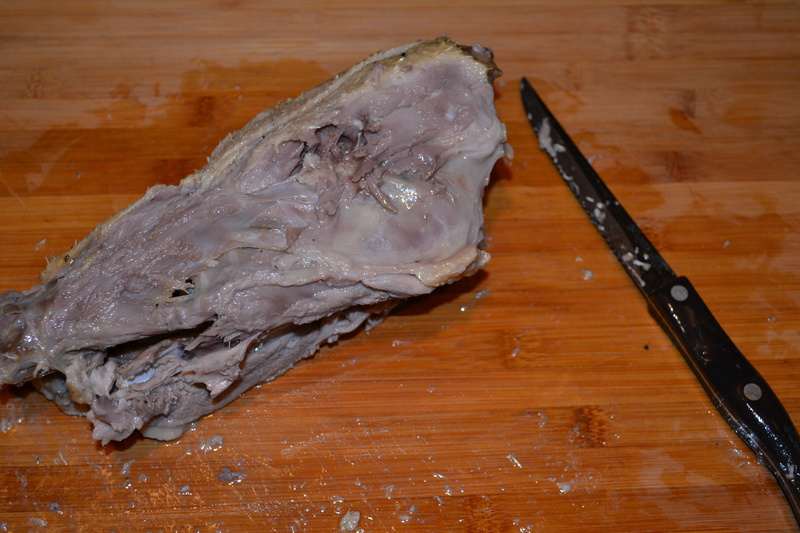 Once the duck was ready to be removed from the pressure cooker, I placed it on a cutting board and carefully carved the meat from the bones. I had to watch a few videos since I had absolutely no idea what I was doing and I didn’t want to waste any of the delicious salty meat. I think I did a great job but it’s so sad to see how little meat really comes off of one whole duck! 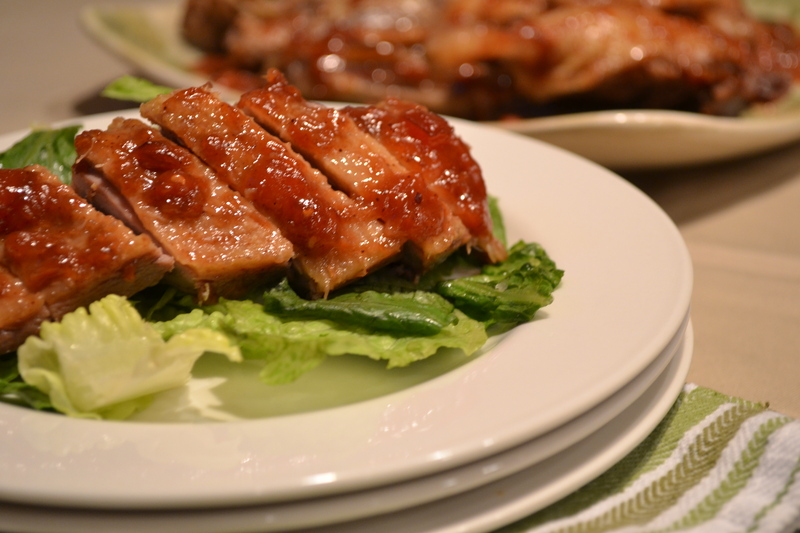 TIP: save and refrigerate the water from the bottom of the pressure cooker, which is now filled with delicious dripping fat from the duck. Once cooled, skim off the layer of white duck fat, melt in the microwave, then save in ice cube trays in the freezer for later use. I plan to use my duck fat in matzoh balls! 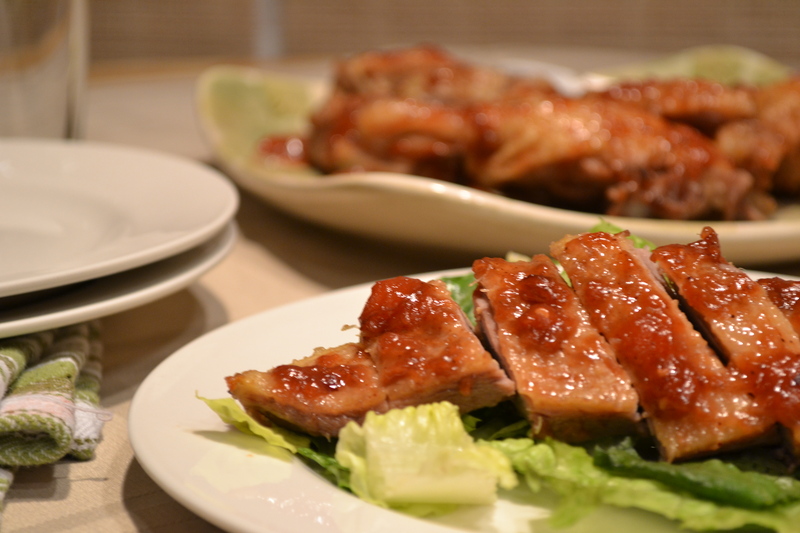 I placed the duck slices in a roasting pan, glazed with the raspberry plum sauce and cooked in the oven at 400 degrees for 20 minutes. The skin on the duck (which is really the best part, isn’t it?!?) 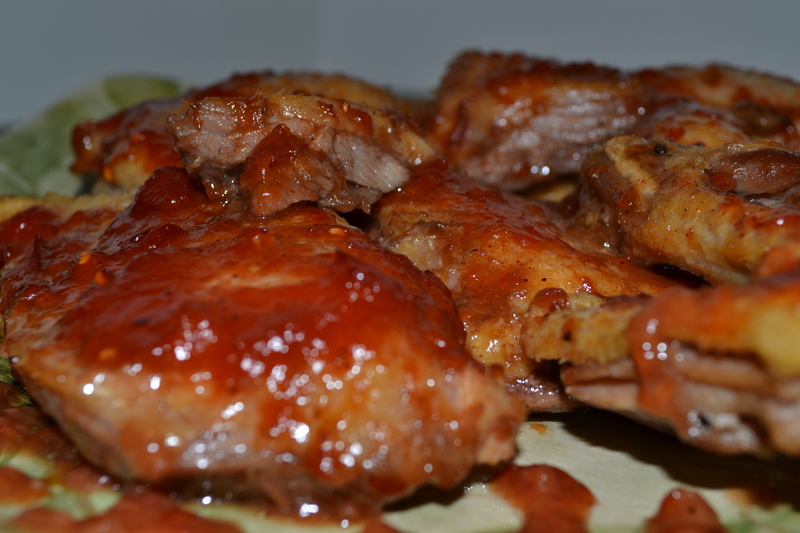 came out of the oven crispy and sweet and the beautiful meat was juicy and supple. You could just pull it right off the bone! I can’t wait to make it again in a few weeks for my family on Thanksgiving. Speaking of Thanksgiving, Macy’s and Kitchen Tested are inviting fans to submit their favorite holiday recipes at Macy’s Facebook page for a chance to win a dinner with a renowned Macy’s Culinary Council chef, including Emeril Lagasse, Wolfgang Puck, Cat Cora or Todd English! I highly recommend checking it out. Good luck! Can you use the same recipe for a Turkey instead of a duck? You would need a pretty big pressure cooker to fit a whole turkey, unless you use a really small one, but I think it could work! You can braise the duck in the oven for a couple of hours then cut up and cook at 400 to crisp up the skin.